Green Century offers On-site and Off-site Data Destruction as well as physical destruction with Certificates of Destruction. Our certificates include the standard to which the data was destroyed as well as serial numbers of devices destroyed. We can meet or exceed your enterprise data erasure requirements. We are R2 2013, ISO 14001, OSHAS 18001 certified. Green Century is committed to environmental stewardship. We are comitted to protecting and enhancing our natural resources. 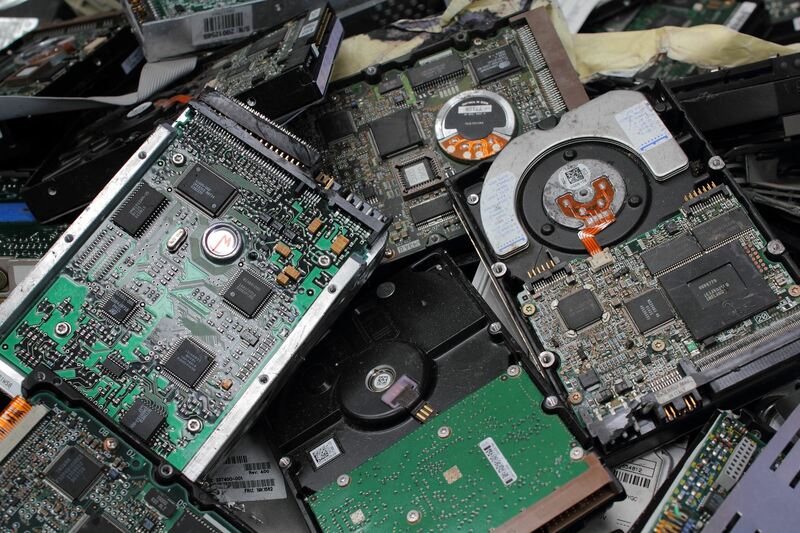 We offer a wide range of recycling services to meet your E-Waste Recycling needs. Pickup and removal of your old unwanted electronic items, Data Destruction with Certificates, Universal waste recycling, and ITAD services. We sort material for reuse or metal recovery. The items for metal recovery are dismantled at our NW facility, data is purged or physically destroyed during this process. The material for reuse is refurbished in our NW facility and we only sell items that are tested and working. GCER is committed to protecting the environment and the safety or our workers. Our environmental Health and Safety management system helps us in tracking our local and global impact. Comprehensive services by your industry needs. We pick-up anywhere in Washington and Oregon. We offer a $35 flat rate pick up for the Portland metro area including Hillsboro, Beaverton, Vancouver, Tigard. Our comprehensive data destruction and erasure services will meet or exceed your company's data compliance needs, whether it's HIPAA, FACTA, NIST, NAID, full reporting is available with tracking. We also have a free public drop off open 6 days a week Monday through Friday 8:00 am to 5:00 pm and Saturday 11:00 am to 3:00 pm. Green Century is a full-service refurbishing facility and can purchase your companies electronics for reuse. Please contact us directly for our ITAD services. Drop off your electronics to our facility FREE of charge. 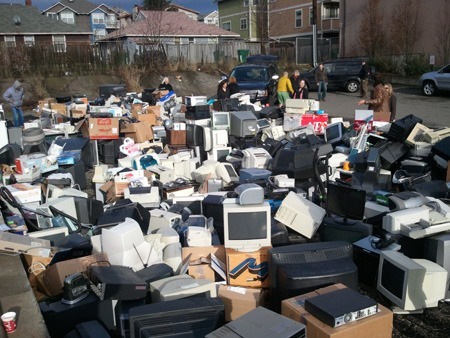 (With the exceptions of CRT TV's, CRT Monitors and Projection TV's - $10 each). We do accept flat screen and LCD monitors for free. We also offer our pick-up service for a $75.00 fee. This fee covers all items you have. We make recycling easy with a plan that works for you. 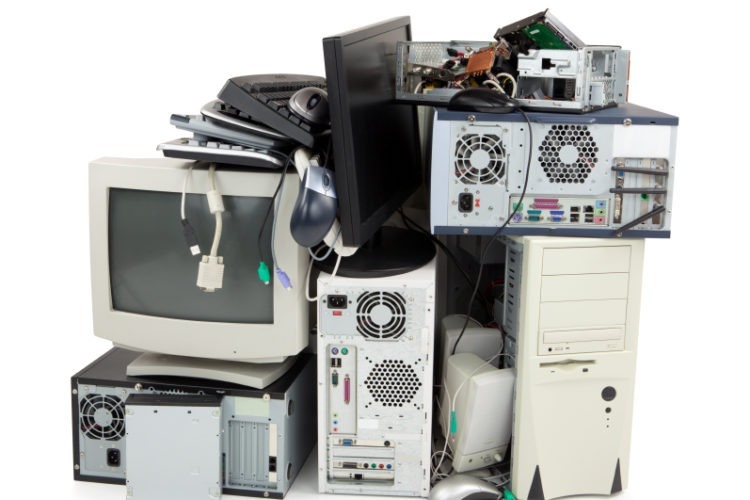 We recycle computers, laptops, networking gear, servers, printers, LCD monitors, home electronics, circuit boards, etc. See our Business Services or Residential Services pages for a complete list of items we accept. Does your company have newer servers, computers, laptops and networking equipment? We also purchase these items. Please Contact Us.